STUDENT: The students write stories/ poems every month on Launchora. 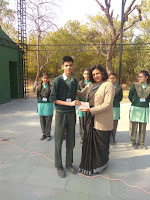 One story/ poem is selected every month and the student is given a prize of 52 cards. 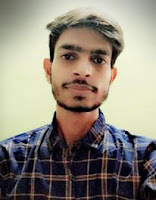 December story of Khush Rajpurohit/ IX was selected. Congratulations Khush. DR: Yes, I participated in activities like Debate competitions, Annual days, etc. DR: In the School my favorite spot was the football ground. DR: These days I am doing first year course in veterinary. DR: From The Fabindia School I have learnt how to represent myself in front of others. DR: In my memories I remember how my friends used to tease me be calling me ß Khopdi ßa I also recall K.G. Sir in my memories. He used to call me ß Sastryjiß .Those were the best memories of mine in the School. DR: Students, try and develop as many qualities as you can and focus on all the opportunities you are getting in the school because after this platform you might not get them. Monday, 21st January: Pre Boards II for Class X have started. Board Practicals for Class XII have started. Best of Luck to the students. 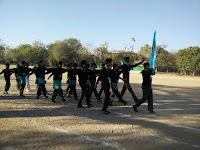 Thursday, 24th January: Students were seen preparing for the Sports Day for a week. 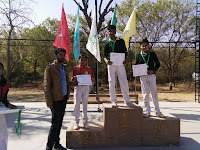 Sports Teacher Mr Abhay Singh was working hard to make the Sports Day a grand celebration. 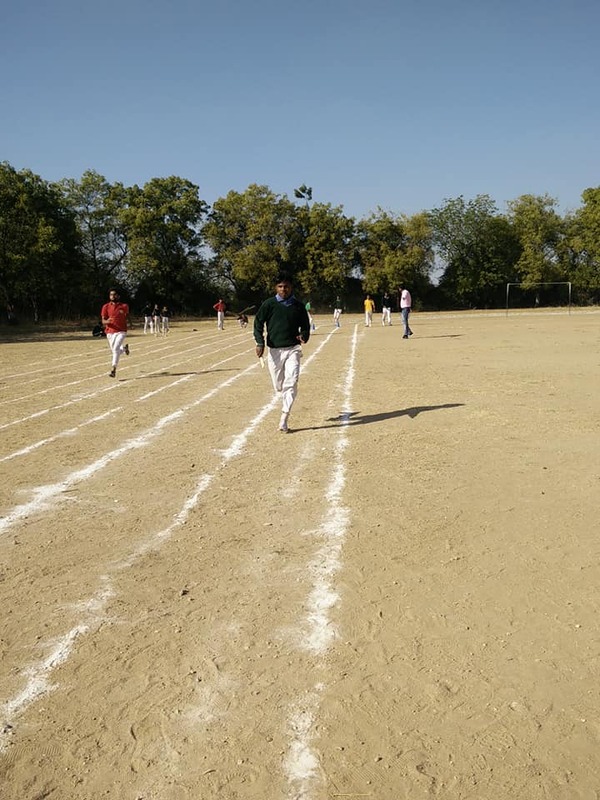 Students, Support Staff and Sports teacher were seen preparing the ground and tracks for the grand celebration on 24th and 25th January. 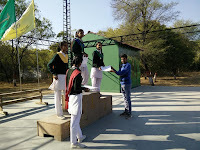 Field events of Junior and Senior Section were held. 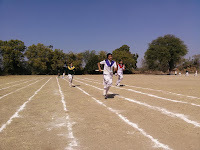 They participated in fun races, hop race, shuttle run, 200 M, 100 M, etc. Friday, 25th January: School celebrated its 10th Annual Sports Meet on Friday 25th January 2019. 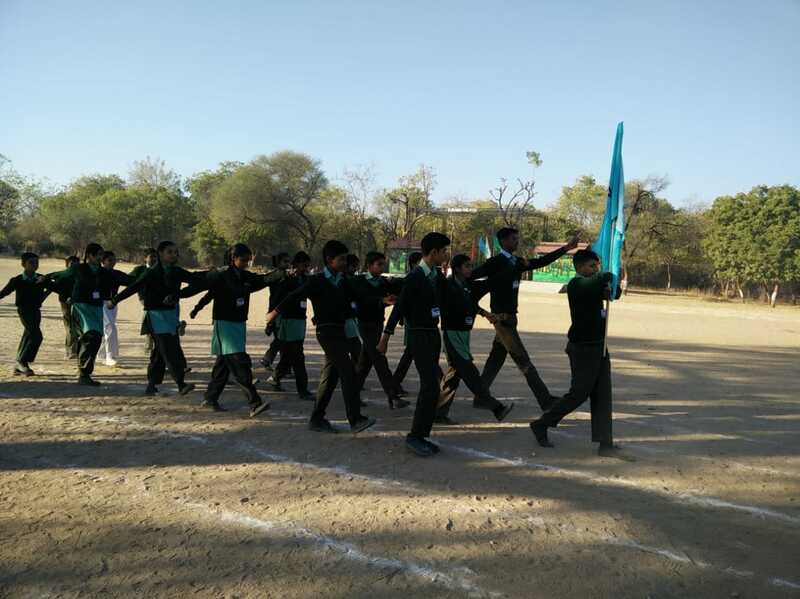 In a solemn opening ceremony Principal, Mrs. Rajeshree Shihag declared the Meet Open; school parade was conducted; the Sports Instructor Mr. Abhay Singh, Principal Ms. Rajeshree Shihag lit the Sports Torch and was handed over to Lalkar Singh; Sports Captain who ran with it on the track while each House Captain took the torch and completed the auspicious round to start the Sports Day. 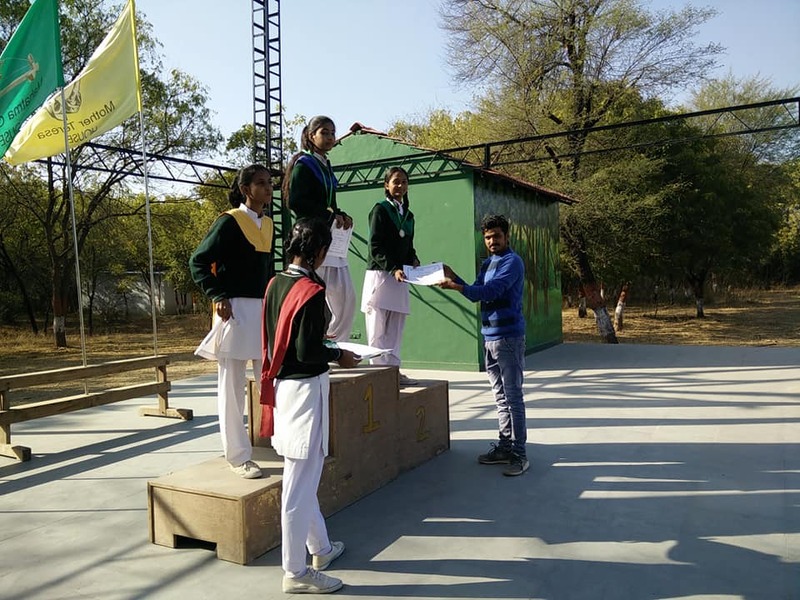 Sports Captain Lalkar Singh administered the solemn oath to the Houses. 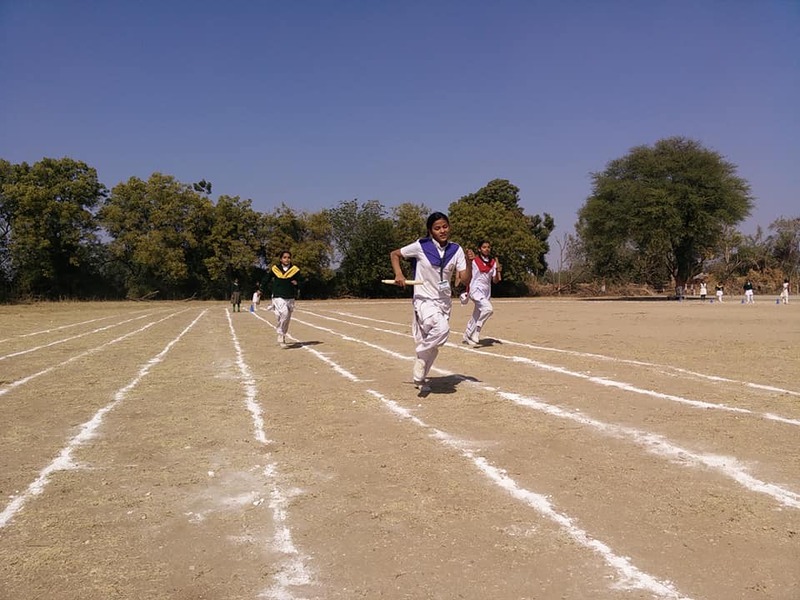 Track and Field events had put up the students in high spirits, each house member cheered for their representative houses. 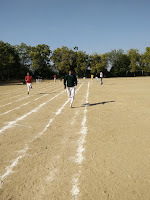 Track events like 50 M, 100 M, 200 M, 50 M x 4, 100 X 4 Relay races of both Junior and Senior Boys and Girls took place. Thanks to all those parents who came to witness the events. School has started with a new culture of honoring Parents, Educators & Support Staff to give away prizes to the winners. It was a great day full of fun and frolic. 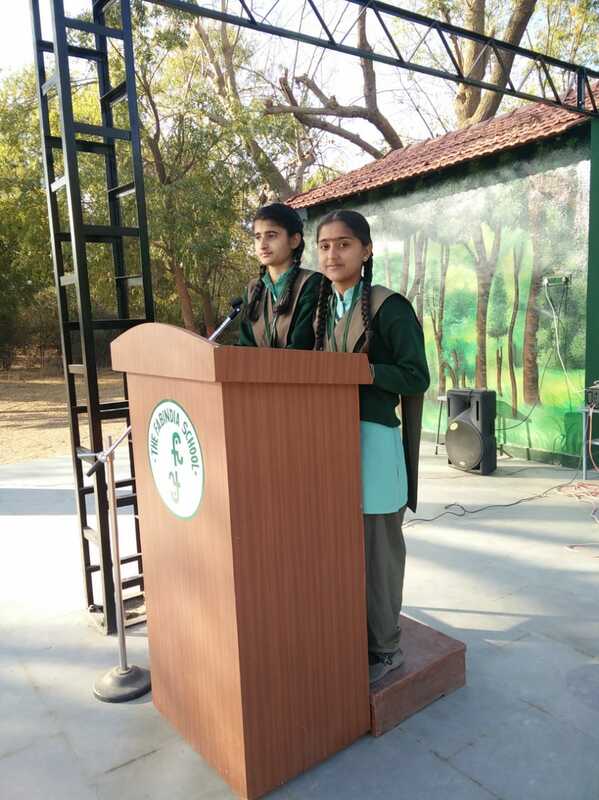 Saturday, 26th January: School celebrated 70th Republic Day with gusto and enthusiasm on 26th January 2019. 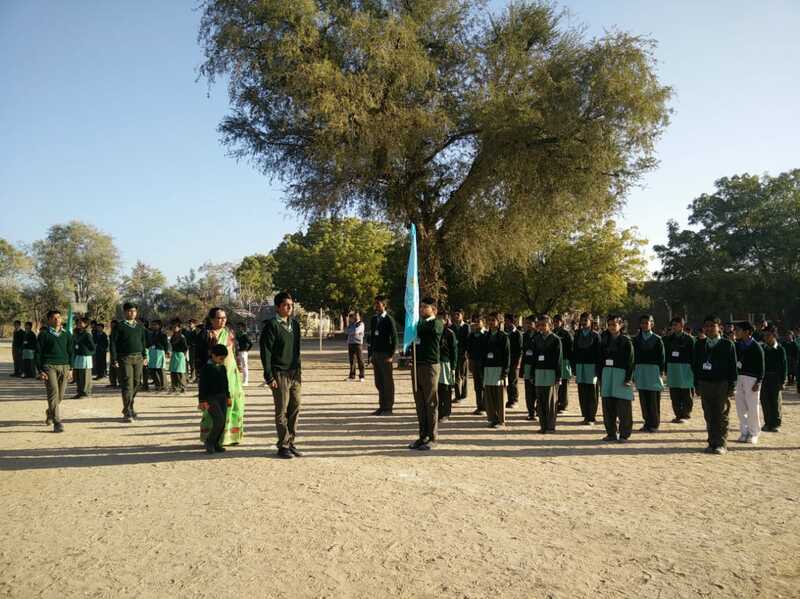 The Principal Ms. Rajeshree Shihag hoisted the flag, Mrs. Bharti Rao; Vice Principal inspected the parade and took the parade salute. After the P.T. 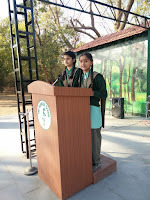 Display by the Junior School, Vice Principal gave a motivational speech. Krithika Rajpurohit/ VIII/ RH and Priyanka Chouhan/VIII/ presented a speech and to mark the happiness sweets were distributed amongst all. 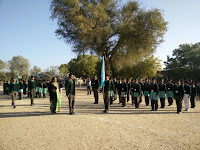 The School's Contingent participated in the RD Parade organised at High School Bali.